You are currently browsing the yearly archive for 2010. Roses have been important throughout history; the ancient Greeks and Romans linked the rose to their Goddess of love. In the Middle Ages Rosaries were made from rose hips, which were considered sacred. Roses have symbolised love and beauty for hundreds of years, they are also famed for their fragrance and healing properties. Rose hips contain high levels of vitamin C and are used in products to treat a number of ailments. Rose leaves and petals are used to make tea, which is also said to have healing properties. Roses are avilable all year roun. They are second most popular cut flower in the United Kingdom and one of the most loved worldwide. They are commonly given on St Valentines Day. 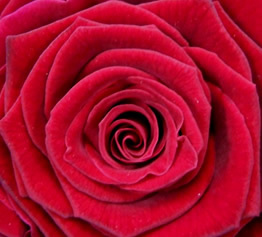 The rose is the national flower of England and worn as buttonholes on St Georges Day. Each colour of rose has it’s own meaning, in Victorian times they were often used to convey secret messages between lovers. Contrary to popular belief blue roses do not exist as a natural colour they are dyed to obtain a blue colour. There is also not a true black rose, ‘black roses’ are actually deep burgundy roses. Red symbolises love and passion. Orange and Coral stand for excitement, enthusiasm and desire. Yellow represents friendship, jealousy or apology. White means purity and innocence. Light pink suggest youth and energy. Dark pink stands for gratitude and grace. Lavender indicates love at first sight. Old fashioned English garden roses have become available as a cut flower in recent years. 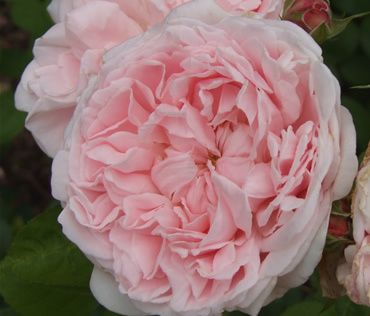 These roses have large rosette shape heads with many petals, and most have wonderful fragrances. Spray roses feature several miniature heads on each stems. They are popular for wedding work such as corsages and headdresses. 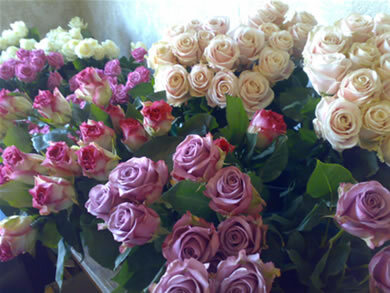 Roses are used in all aspects of floristry due to their universal popularity and wide range of colours. Roses are very popular for wedding bouquets. With so many colours available you are sure to find a shade to complement any colour scheme. 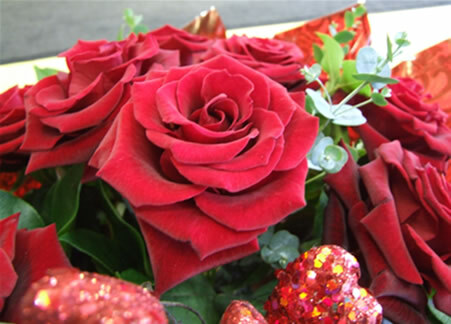 Every rose variety has it’s own name, a florist often sells them by name as certain varieties are very popular especially at St Valentines Day. Red roses – Extase is a deep red rose with a fabulous scent. Grand Prix is very large headed red variety. Pink roses – Heaven is a small but perfect pale pink rose. If you prefer large roses Sweet avalanche is beautiful large pale pink rose. 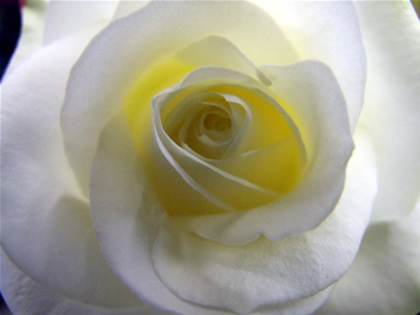 White roses – Avalanche is a large headed white rose or Maroussia is a large scented white rose. Lilac roses – Pacific blue is a lovely pastel shade or Cool Waters has pink outer petals with a lilac centre. Vintage roses – Amnesia is a lillac/beige rose, Vendella is an ivory rose with an almost peach tone to it. Hypnose is a pretty dusky pink rose. We know that size isn’t always the most important factor, like a small bottle of fine perfume is better than a huge bottle of eau de toilette, but St. Valentines Day isn’t one of those times. You could pick up a small bunch of short roses with your weekly shop, but they won’t get you many brownie points and may in fact have the opposite effect. It’s hardly the world’s most romantic gesture, grabbing a bunch of flowers between your newspaper and veg. You may be thinking, but I can’t afford a bouquet from a fabulous expert florist – rubbish! All florists cater for a range of budgets, from a single silky rose in a vase, to bouquets of mixed flowers in gorgeous romantic tones. But if you are going to do roses…don’t get it wrong, buy the best you can afford. The science bit is that roses are graded by length. The length of the stem indicates the size of the flower head. So if you buy very short stems, you are going to get very small flower heads. Florists actually buy their roses by length, they pay extra to get long stems which equal big luscious flower heads and happy customers all round. 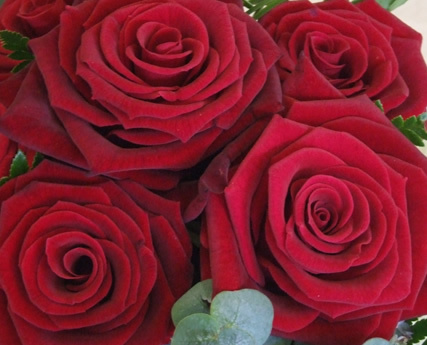 There are lots rose varieties and they all have their own names like Black Baccara, Ruby Red and Amore. Two of biggest and most luscious are Grand Prix and Red Naomi. Grand Prix is famed for it’s large flower size and velvet like petals. Red Naomi has a very large flower head and an impossible number of petals. Most good florists have an online shop on their website nowadays, have a look at your local florist’s and if you need any help give them a ring. They are the experts, pick their brains for suggestions, and they will probably tell you which lovely varieties they will be stocking this St. Valentines Day. If you can’t go the whole hog why not send half a dozen roses or bouquet of mixed flowers with a red rose in the centre. A bouquet from a real florist, will not only have the best quality flowers money can buy. It will be arranged by a skilled expert, have lush foliages like palm leaves to hold the flowers perfectly, and it will be finished with gorgeous gift wrappings and a pretty bow. Make sure you’re not in the dog’s house on St. Valentines Day, put your trust in the experts and go to your local florist.